This entry was posted on January 6, 2015 by Jim Caffrey Images. 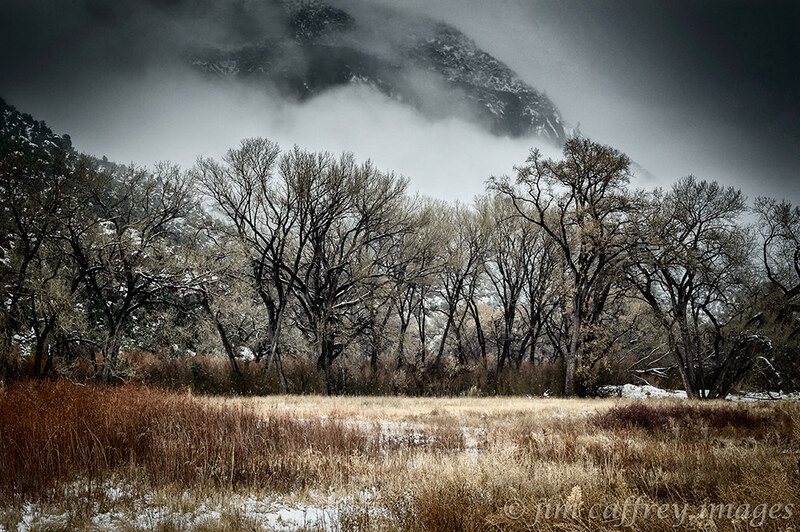 It was filed under Composition, Creativity, Landscapes, Nature, Processing, Technique and was tagged with clouds, landscape photography, mountains, nature photography, New Mexico, Photo, Photography, sky, snow, texture, winter. You are spot-on. Also, texture in a photo can do a lot to set a mood or feeling the photographer wants to impart. On a secondary note it also makes photographers think bout how best to produce the final print and what paper grade to use as they edit their photos. Textures are certainly very important in photos. I love the textures in this one Jim!